If you aren’t reading this yet, then go get it. 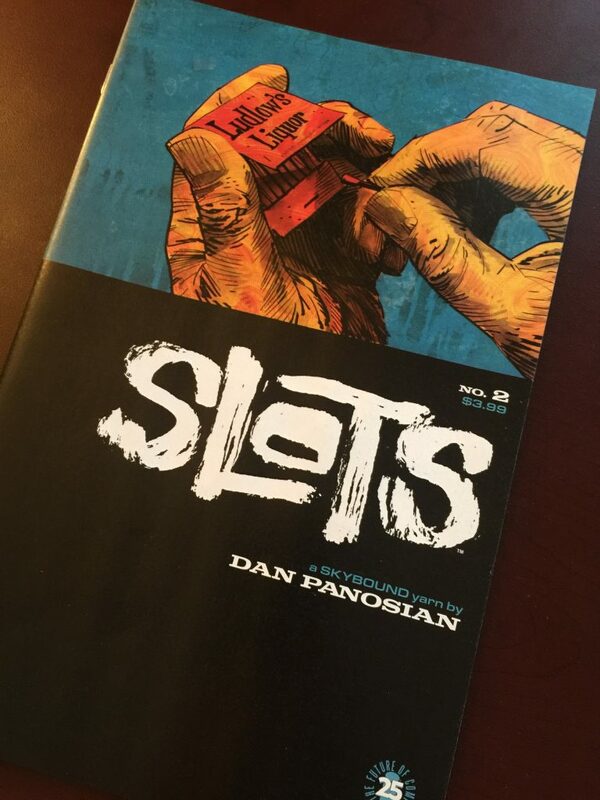 I love Dan Panasians @urbanbarbarian style. Some of the most interesting work I’ve seen in a long time. 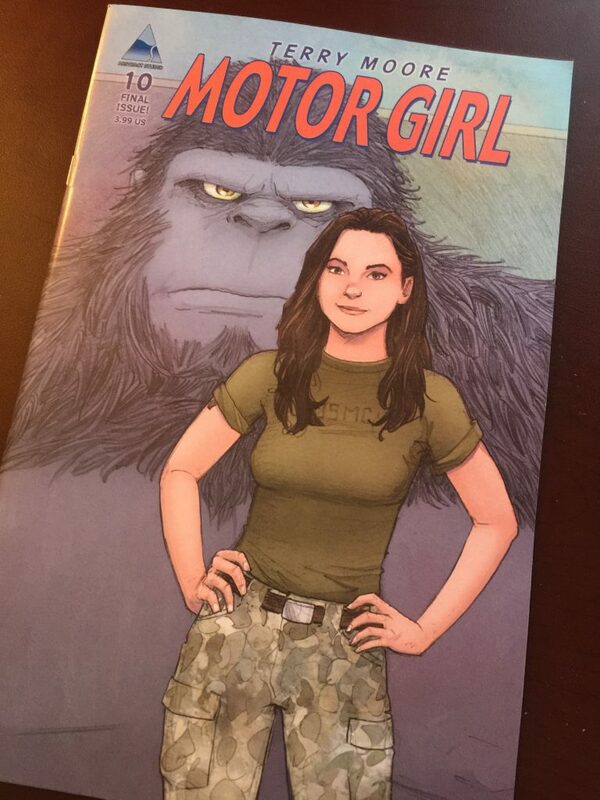 So sad to see Terry Moore’s Moter Girl go, but if that means we get a new Strangers In Paradise series then I guess I’m cool with it. 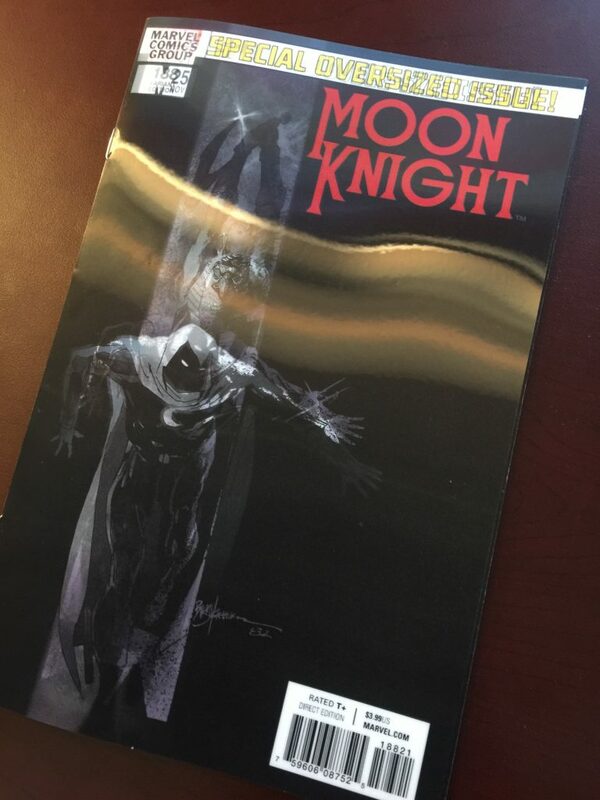 Hope the new #moonknight will be good. 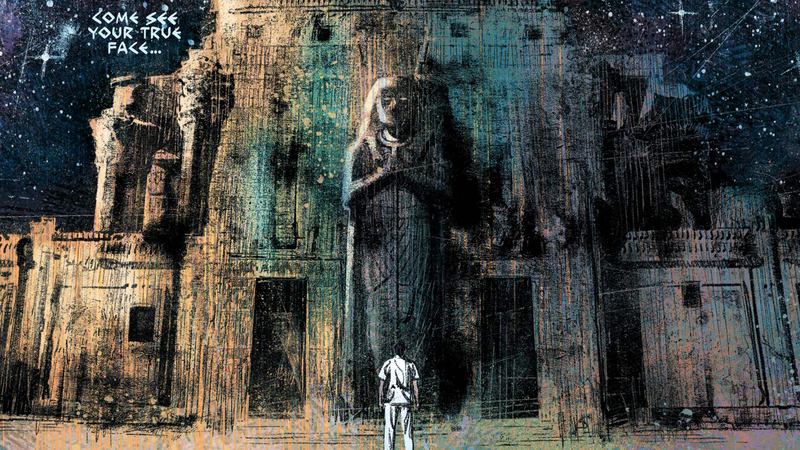 Jeff Lemire introduced me to the character. 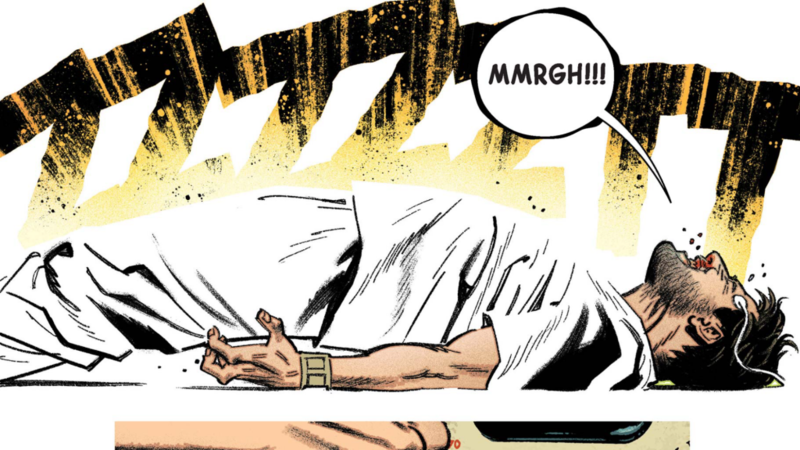 I went back and read a lot of his history over the last year, but nothing topped Lemire and Greg Smallwoods run for me. Fingers crossed. 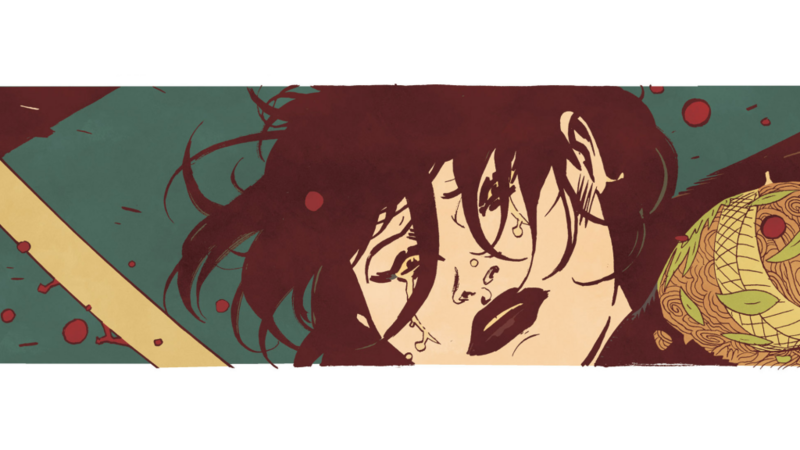 My new comic is coming along … slowly. 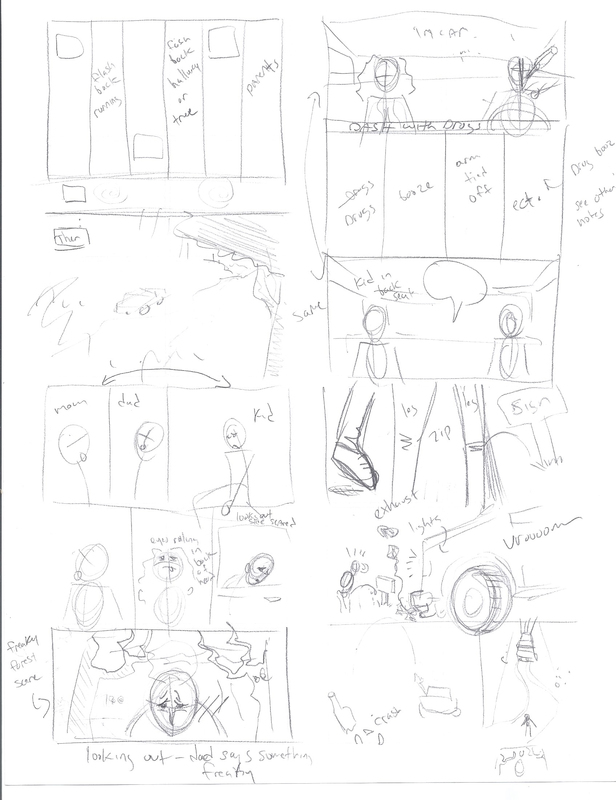 Here are some thumbnails, more proof that I am actually working on this thing! lol. This will be jibberish to most, but an essential part of the process. 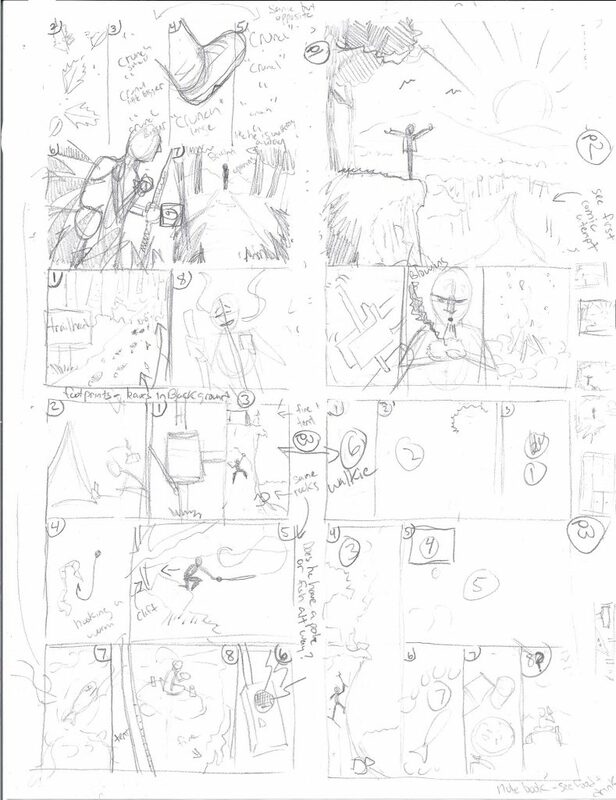 After the script is finished, my next step is create these thumbnails. This is the stage where you really refine the story telling and set the pacing and flow etc. I will do this for the entire book and probably rearrange and redraw many, many times. 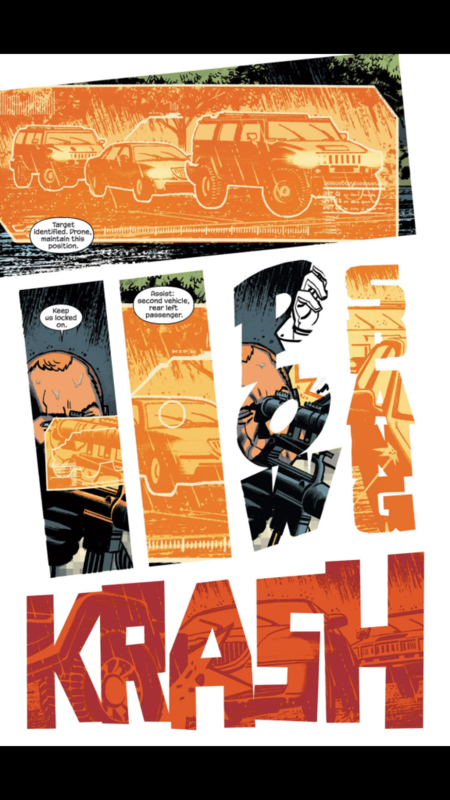 Even with a script I still let this phase further shape and mold the story. 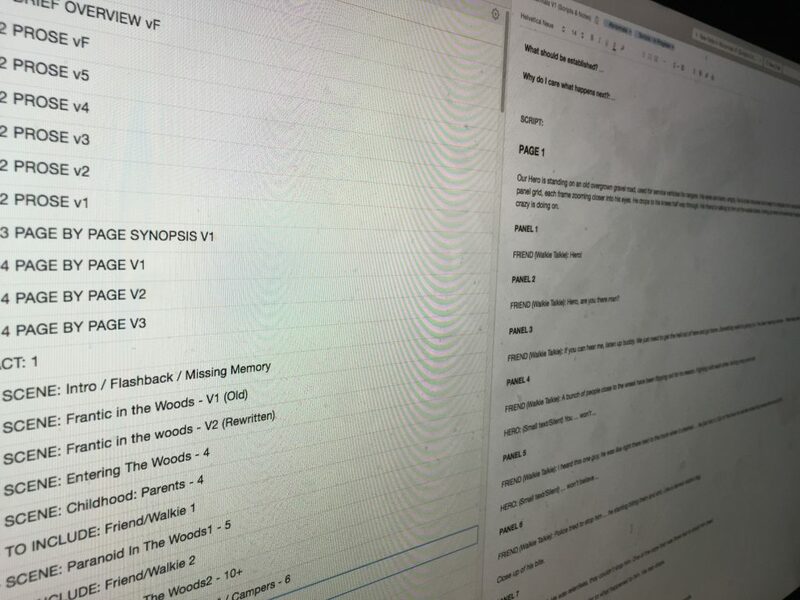 For me since I am writing and drawing, the script is actually more like a first draft for me. 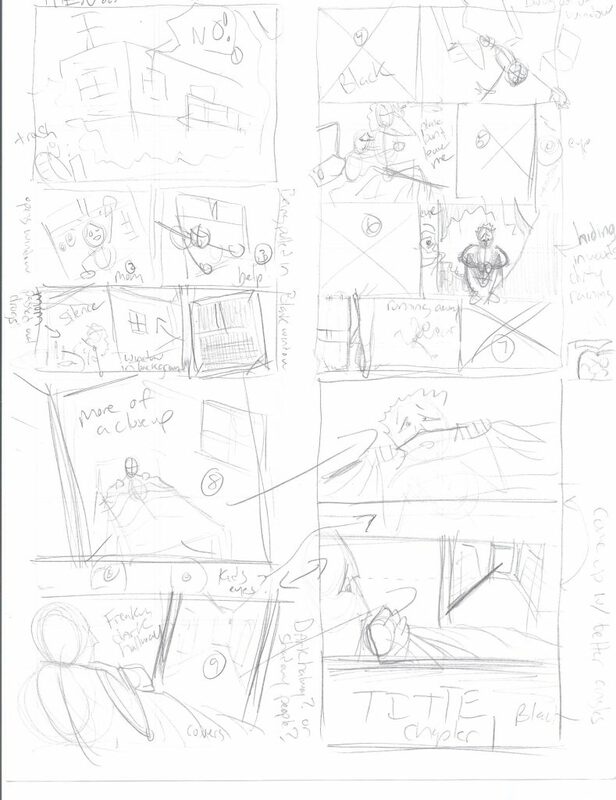 Instead of rewriting over and over, I’ll move to thumbnails. 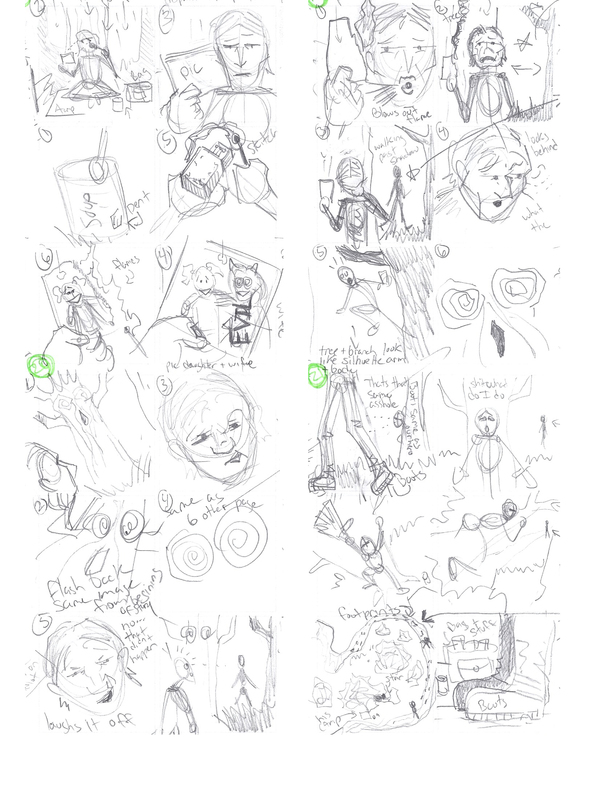 Then the thumbnail stage really becomes the second (and third and so on) draft. A lot of the time there may be some story aspects with the script to still work out and sketching and drawing really helps me figure these out. I have a template I print out that has boxes for 4 comic pages and a place for the page number and notes, etc. Helps keep it all organized. You can’t see the template marks in the scan though. Usually thumbnails start out like this. These are not much more than panels and stick figures. Sometimes you get it right the first time, sometimes you will do 20 of these. This stage is just about the timing and flow of the story. The numbers match up to the dialogue and description for that panel in the actual written script. 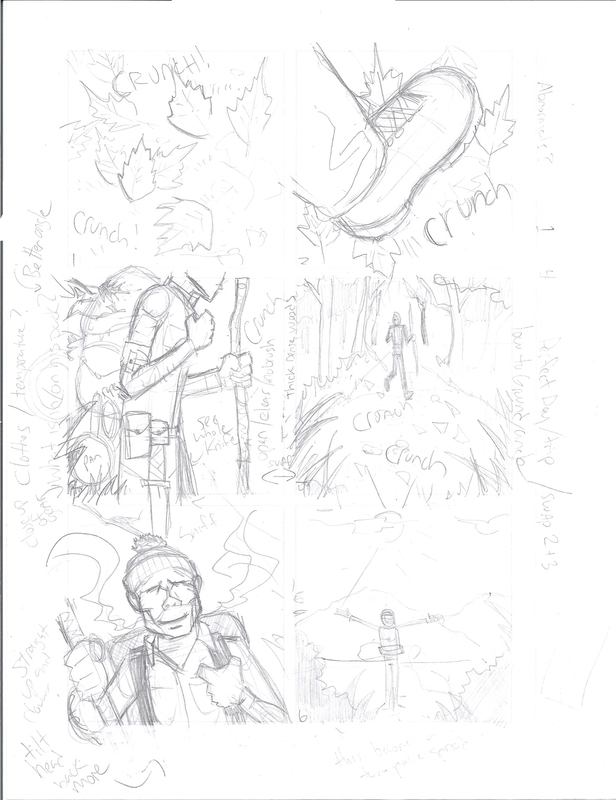 After the thumbnails are finalized I will flesh out the page a little more on a full sized piece of regular 8.5×11 paper, like the image below. Still it’s just a loose sketch, but I this is where the page takes shape, all the props are included, backgrounds are added, final viewpoints and layout are decided on. Text placement is important here too. When this is the way I want it, I will scan it in photoshop. I blow it up to fit the proper, larger 10×15 window on a 11×17 sheet of bristol board. ThenI print it back out. This will get put on a light box, taped to the back of my bristol board to be used as a guideline for the final drawing. I’m not going to go any further with my process, I don’t want to show any final art yet … not until I’m read to start publishing. There you have it. A little window into my process and what I have been secretly working late at night over the last few years. One day it will be finished … One day. You know, I don’t have a lot of time to work on my new comic, but I am making progress. With 2 kids, a business to run and other responsibilities of “grown up”, like spending half my Sunday every week for 2 months raking up leaves from the 30 trees in my yard, it is hard to find extra time. I spend a lot of nights where I fire up the computer at midnight to get an hour in here and there. Last night I had a big breakthrough with working out something complicated with the story. 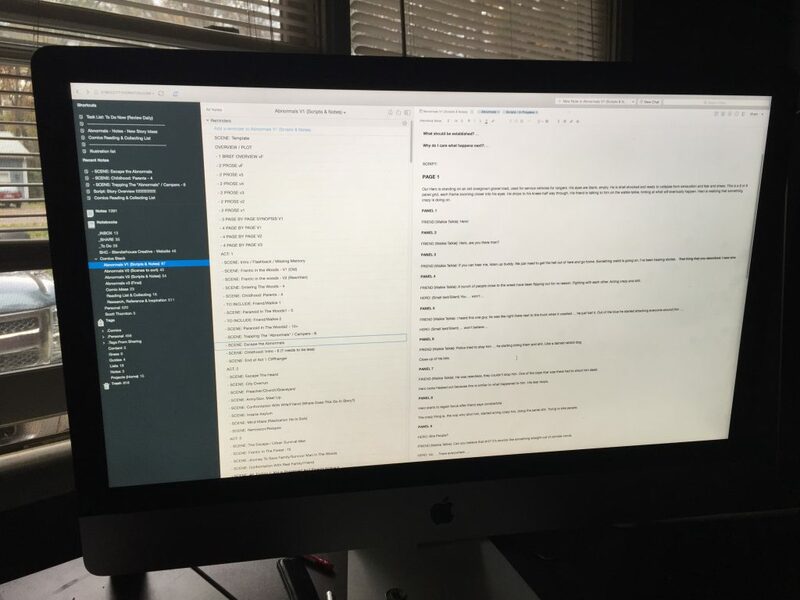 One day soon I will write a post about my writing process … until then, proof that I am actually working on the comic … Screenshots from my script in Evernote. I just started using twitter. 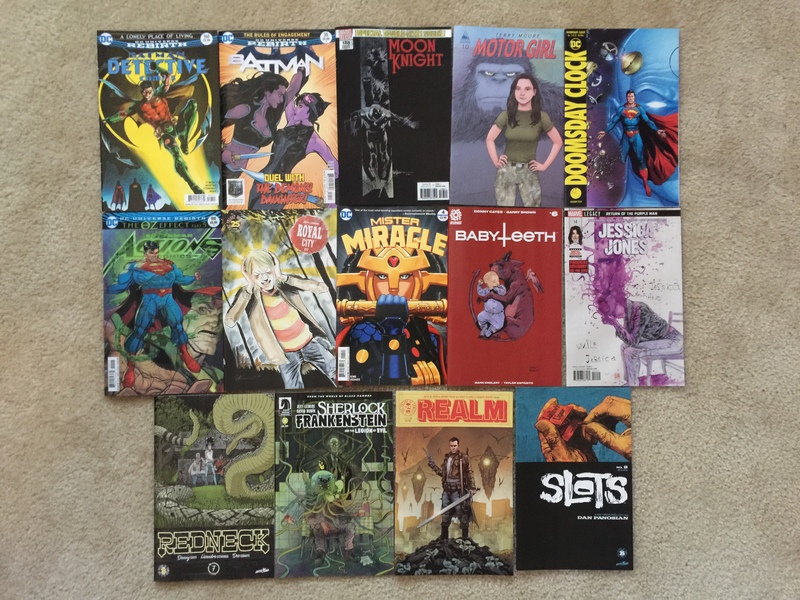 Well, I have used it for business and helped other businesses with it for years … but, FINALLY, I just set up an account for promoting my comics and art. You can find me at @ScottRThornton. 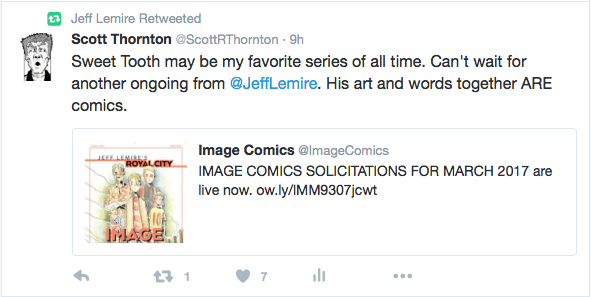 Anyways, I just thought it was cool that one of my my favorite writer/artists, Jeff Lemire, just retweeted me. 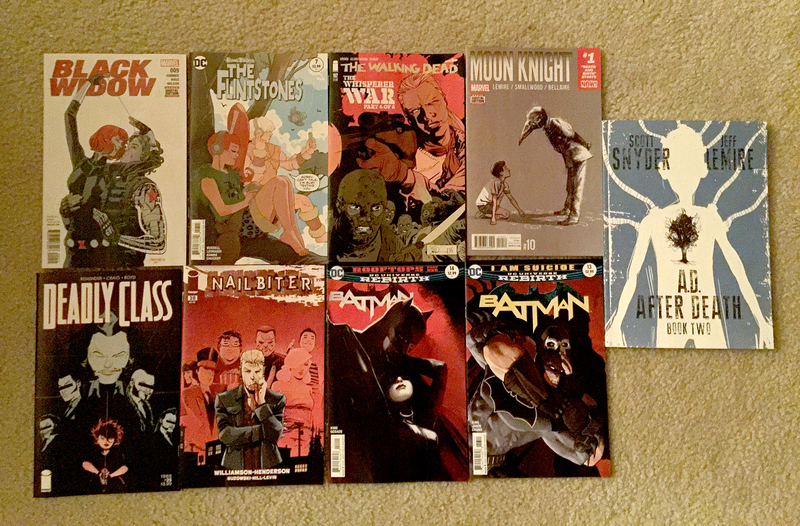 Another week another trip to the comic store. 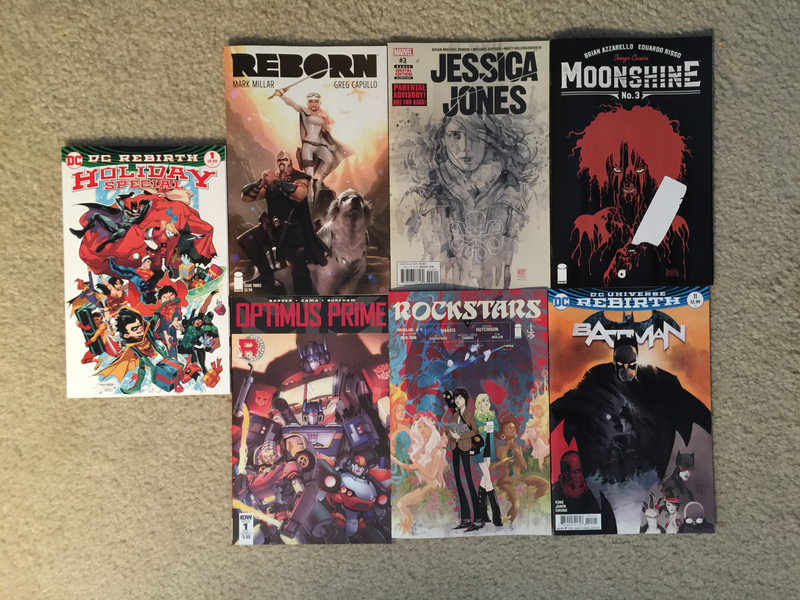 I can’t wait to dive into Reborn, Jessica Jones and Moonshine this week. 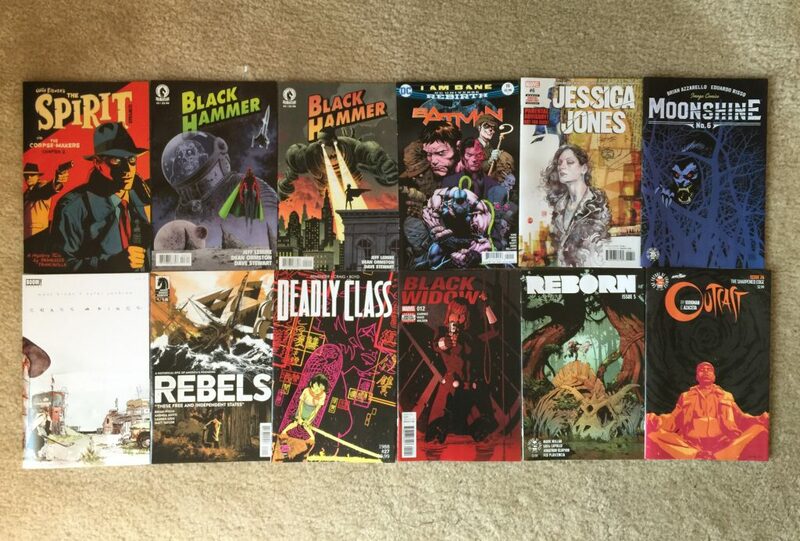 I can’t decide which to read first. I grabbed Rockstars simply because I’m a sucker for Image number one’s. 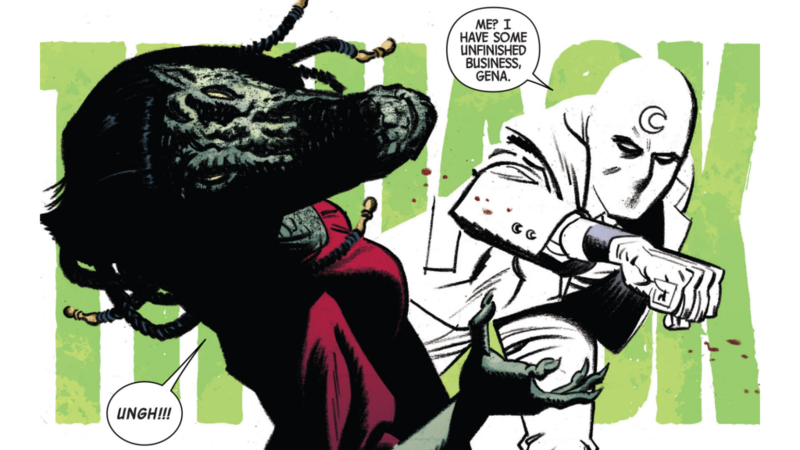 I’m just hoping to get in on the ground running with the next Walking Dead or Saga. Unfortunatly there hasn’t been anything great lately. 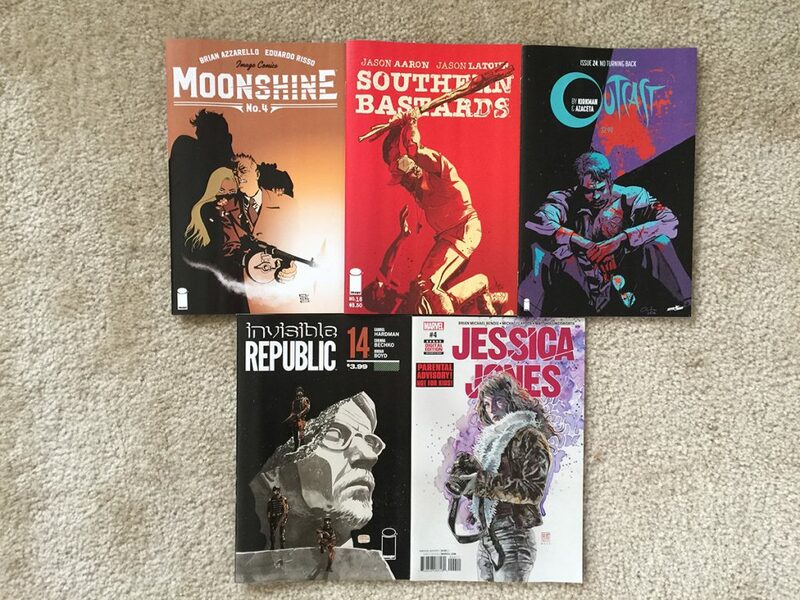 Mayday, Motor Crush and Violent Love were some recents image number one’s that all fell short. 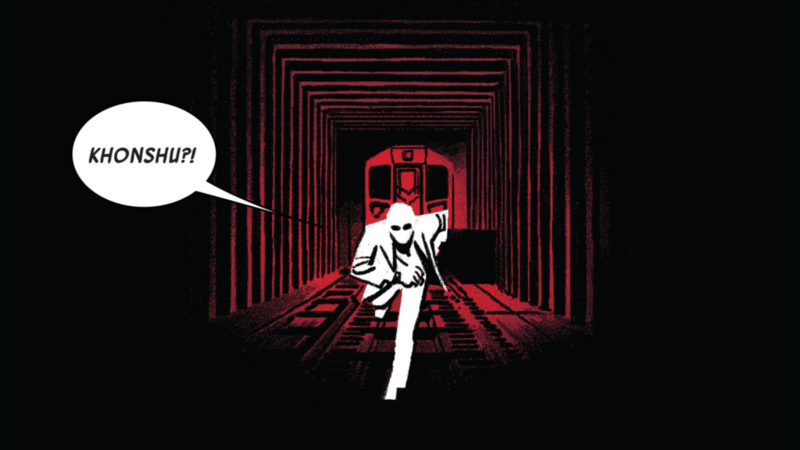 Violent Love sounded promising, a Bonie and Clyde type of story that had some cool art but was it was a let down. 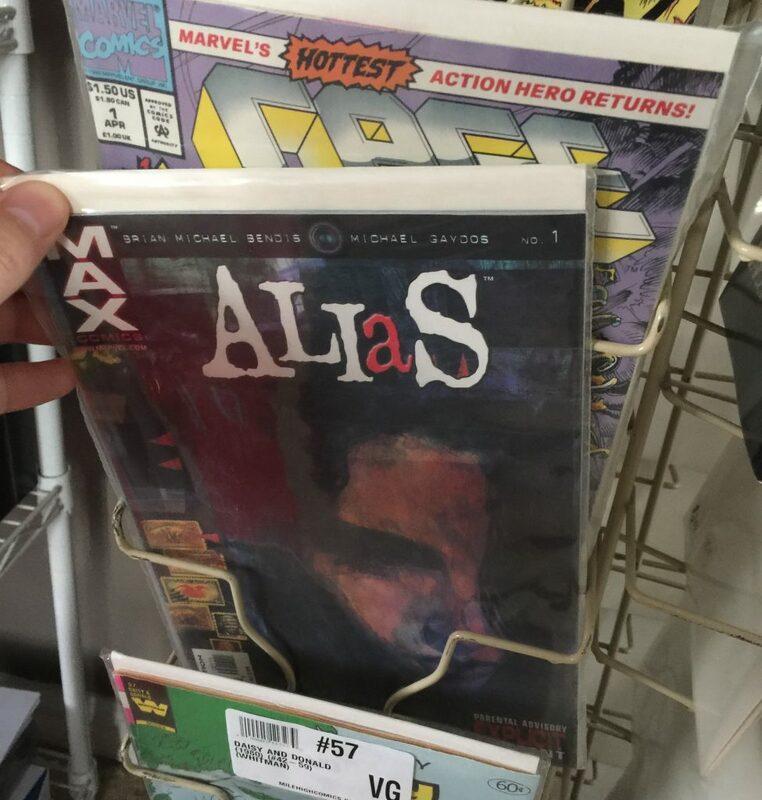 I am always on the lookout for a good Christmas comic too. People watch the same Christmas specials and movies each year, but there aren’t many great Christmas comics that you want to revisit each year. 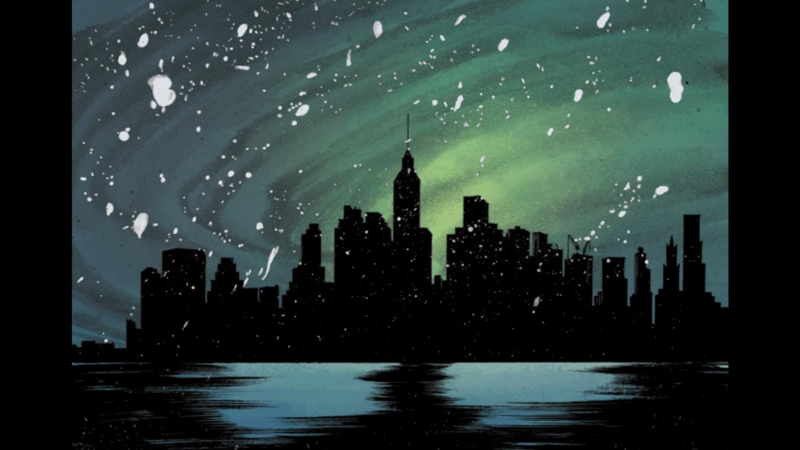 DC Rebirths Holiday Speicial, isn’t one of them, although the flash story was ok. I had to try it out thought. I also grabbed Optimus Prime for my son, it looks good, I’ll be checking it out but it will be hard to top “More Than Meets the Eye” for me. That was just just a fun story. I picked up handful of dollar bin X-men books to fills some gaps and a stack of older IDW Transformers to give Logan for Christmas! Until next week!